WEST PALM BEACH, Fla. - July 12, 2018 - PRLog -- Attorney Edward M. Ricci of West Palm Beach was named Trial Lawyer of the Year by Public Justice Foundation at its annual banquet in Denver, Colorado on Monday, July 9th. Public Justice is the oldest and largest consumer non-profit law firm that prosecutes major environmental and safety cases. 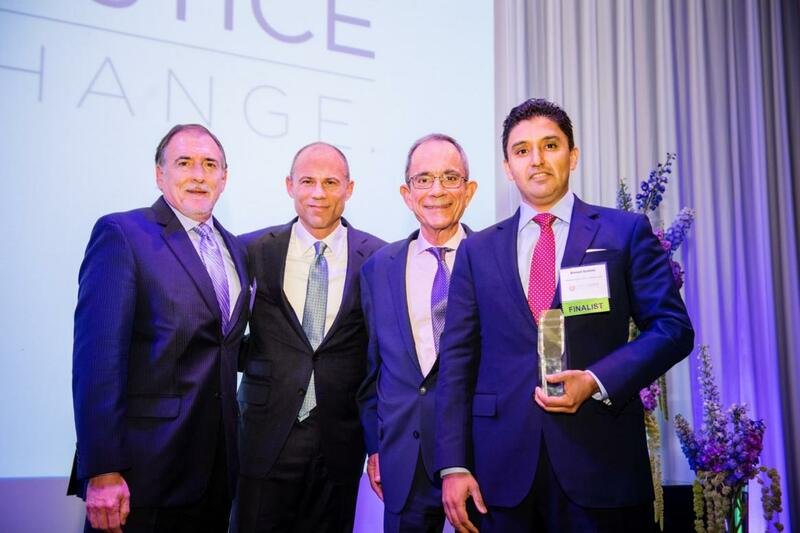 Ricci received the award with his co-counsel Michael Avenatti of Newport Beach, California. The case was prosecuted against Kimberly-Clark for the sale of defective gowns during the Ebola crisis. The jury found Kimberly-Clark was engaged in fraudulent conduct from which they reaped millions of dollars in illicit profits. For more than four decades, Edward M. Ricci has specialized in civil trial law. The firm is headquartered in Palm Beach Gardens, Florida, at 8895 N. Military Trial, Suite 102E. Mr. Ricci can be contacted at (561) 748-8000. Additional information about Mr. Ricci or Edward M. Ricci, P.A. may be obtained from the firm's website at http://www.edriccilaw.com.